Don’t wait until the New Year to relocate to Atlanta. Hurry to Traton Homes today for information about the builder’s Holiday Wish Event where you can save big on move-in ready homes until Dec. 31. Incentives vary per community and include a combination of price reductions up to $46,100, closing cost bonuses, design option bonuses and buyer bonuses. The following is just one example of what you can expect to find during this year-end savings event. Located in Kennesaw, Traton is offering a $10,000 design options bonus PLUS a $2,500 closing cost bonus on two move-in ready homes at Oakwood Creek. The first home is priced at $299,900 and boasts the elegant Glenstone plan. This home design features four bedrooms, three bathrooms and many popular finishes such as a media room and finished third-story bonus room. 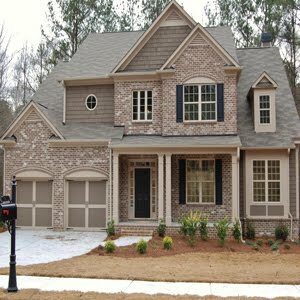 The second home at Oakwood Creek features the fabulous Knollwood plan and is priced at $339,900. This home offers four bedrooms, 3.5 bathrooms, a basement, covered deck and spacious owner’s suite with a cozy sitting room and large walk-in closet. Both the Glenstone and the Knollwood feature popular finishes including family rooms with stacked stone fireplaces, hardwoods and gourmet kitchens with granite countertops and stainless steel appliances. For more information about this community or the Holiday Wish Event incentive, please visit http://www.tratonhomes.com/.